As a person ages, the constant exposure to the environment causes the skin to age as well. Certain environmental factors, specifically excess sun exposure and smoking, accelerate the aging process. The skin becomes dry and rough with loss of elastic and collagen fibers. Our skin care program is designed to give you healthier and younger looking skin whatever your age, skin type or ethnic background. It specifically ehalps uneven brown pigmentation from pregnancy, sun damage, age spots, rough texture, enlarged pores, and some fine wrinkles. During your initial consultation, Dr. Fata will determine if any of the causes of your skin damage could be eliminated through minor life style changes. Based on your skin type and treatment goals, he will then recommend one of our Dermesse™ Skin Care Programs in combination with retinoic acid (Retin A™). Once you begin our skin care program, you will enter the exfoliative phase, in which the old and damaged skin cells are removed. Your skin will experience some redness and minor flaking. In the second phase, the restorative phase, you will notice an improvement in the texture of your skin, tightening of your pores, a softening of some fine lines, and a more even color. The final phase is the maintenance phase, in which the skin care products will be used to maintain the improvements you have already obtained. 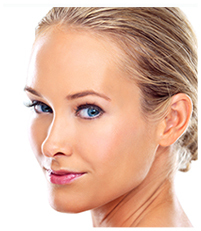 You may also be a candidate for a number of skin restoration procedures. The technique chosen will depend on the condition of your skin and, as always, on your own personal goals. What products do we use in our skin care system? 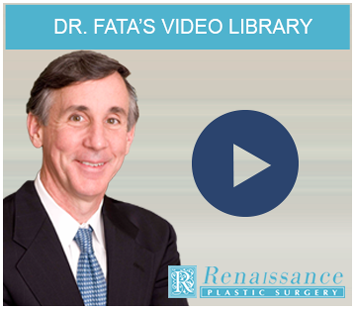 Here are the products that we recommend at Renaissance Plastic Surgery in Indianapolis, IN. Cleanser uses a combination of herbs and organic cleansers to gently remove debris and excess oils without stripping your skin of its natural moisturizers. Your skin will be clean and soft but not overly dry. Toner contains aloe and a blend of plant and flower extracts to hydrate and tighten the skin as it restores the normal pH. Lightener uses 4% hydroquinone (over-the-products are only 2%) to lighten dark areas of the skin such as freckles, age and sun spots, and the "mask of pregnancy". Exfoliator is an exfoliating lotion that will help remove the damaged and dead skin cells on the surface of your skin by allowing them to gently flake off. Balancer is designed to blend with Retin-A® to increase the absorption and effectiveness of Retin-A® as well as lighten dark spots. Sun block is a sunscreen specially designed to protect skin that is being treated by our other products. It has an SPF of 24. Eye Cream hydrates and firms up the loose and crepe-like skin around the eyes. It contains ingredients that are mild enough to be tolerated by the thin skin of the eyelids. Vitamin C is the one product that actually prevents and reverses some of the damage to your skin's collagen that has been caused by the sun and aging. Collagen is one of the most important substance in your skin that gives it its firmness and tone. The best way to get started on rejuvenating your skin is to schedule a personal consultation with Dr. Fata. He can examine your skin, ask questions, listen to your desires and concerns, and then make suggestions as to what would work best for you. Please call our Indianapolis office at 317-575-9152 or complete our online contact form today.